Nicholas Herman struggled with poverty. He had trouble finding enough money to afford to live in seventeenth century France. So, he enlisted in the military and went to fight for France in the Thirty Years War. The war had been going on for nearly fifteen years by the time Nicholas joined its ranks and prepared to fight for as long as meals and a small stipend would be provided to him. It wasn't what he had wanted to do--few at the time would have volunteered to fight a war if there was no economic incentive--but it helped provide for his needs. He was devoted to the Faith he was raised in but found life unsavory and wondered if he might be missing something in his own everyday Christian life. But, while afield with the military, he had a vision that would change his life for the better. Nicholas was looking about himself in the middle of a very cold winter. A tree barren of all leaves stood resolutely before Nicholas' gaze and seemed to cry out for notice and consideration. Nicholas' mind drifted toward the eventual full bloom that awaited the tree come summer and he held the image before him in tension with what he knew awaited the tree standing barren and steadfast among death and destruction. In the tree, Nicholas saw his bleak existence and in its hope he saw his own: a hope that relied upon God's good grace and steadfast love. Though life was hard and desperate for young Nicholas he was filled with hope for a life consisting in deep love between creator and creation. In a barren tree, God had reached down and touched Nicholas' heart with a vision that granted hope and strengthened his persistence. When he was discharged from the military, he went to a Carmelite monastery and petitioned to become a brother.Because of his relative lack of education he could not become a cleric but he persisted and became a lay brother and was assigned to work in the kitchen. His duties included cooking, cleaning, and serving--in other words, he was called to sustain the monks and he did so gladly. He took the name of Brother Lawrence of the Resurrection upon entering the monastery. But, his culinary skills are not what he is best known for. Rather, he is known as a fantastic proponent of the power of love. He insisted that the many works of men and women to explain and grasp the love of God were unnecessary. There was a simple way of life and love that Lawrence called his friends and colleagues to: loving God in the everyday moments.Instead of doing great and big things to "earn" the love of God, Lawrence endeavored simply to appreciate God's steadfast love in the small things. When he was cooking a meal, he thought of himself as cooking for God and with God. When he scrubbed a pot or a pan, he was doing it for and with God. 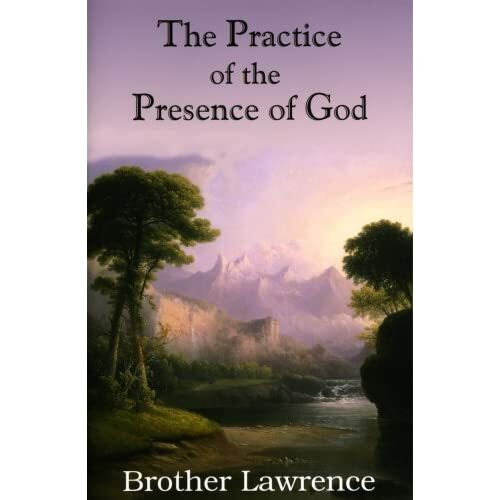 Lawrence had an intimate and deeply personal relationship with God and advised all of his friends and colleagues to do the same no matter what else they might be doing with their lives. After all, Lawrence knew well that there was only hope for life in the love that animated and sustained all of creation. Though he was a barren tree hoping desperately for summer, he knew that God was already effecting a summer in his soul and this love informed all of Lawrence's actions. His many sayings and teachings on God's love and presence were gathered together by people who appreciated them after his death and bound together in a text known as The Practice of the Presence of God. There was no other calling for Lawrence than this: to know and be loved by the God who gave hope and faith to God's much loved creation.